Organic farming is a holistic system that focusses on the health of the agro-ecosystem and on the development of enterprises through sustainable practices (CGSB, 2015a). A true organic farm is thus meant to be socially, economically, and environmentally sustainable by naturally meeting the needs of the living soil such that the soil could then meet the needs of the crop. 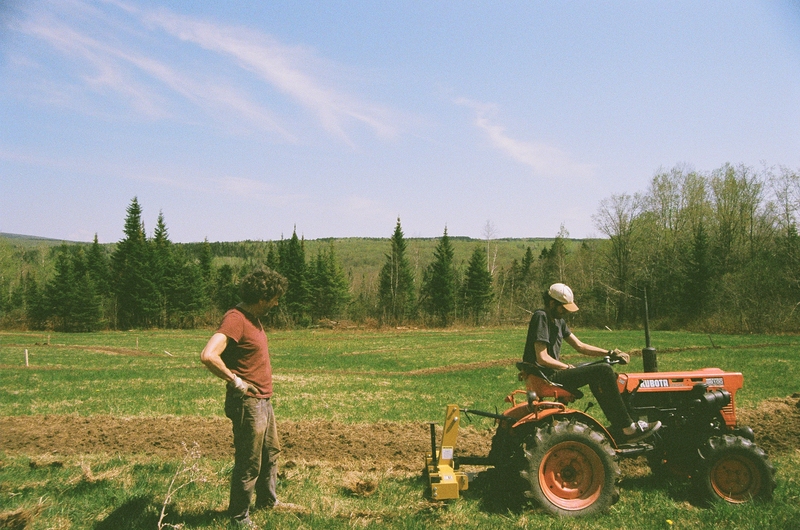 Plasticulture, which involves the application of a plastic cover over planting rows, is a growing practice in Canada both on conventional and on organic farms (Davison, 2017; CGSB, 2015b). In fact, according to the Canadian General Standards Board (CGSB) (2015b), semi-biodegradable and non-biodegradable plastic mulches are part of the permitted substances list for organic systems. They can be used as a crop production aid so long as they are “[not] incorporated into the soil or left in the field to decompose” (CGSB, 2015b). 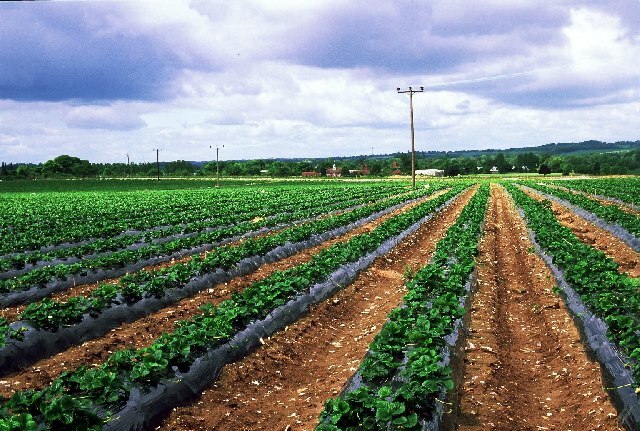 As rising concerns and information around plastic pollution and plastic chemical leaching emerge, should introducing plastic materials on organic fields be questioned further? In Quebec, organic strawberry producers are making common use of this method to benefit from season extension (CRAAQ, 2012). Applying this cover on planting beds raises the temperature of soil, which encourages crop development earlier in the season and leads to earlier harvest (Lamont, 1991). Moreover, drip irrigation is typically installed under plastic mulch, resulting in less water losses from evaporation and more water applied directly to the plants (Bachmann & Earles, 2000; Lamont, 1991). 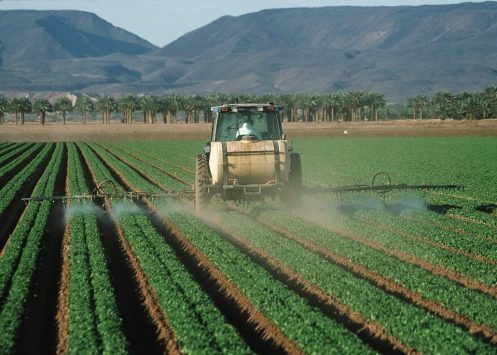 The efficient use of water resources also means that organic fertilizers applied to the crop are less likely to leach out into the soil (Bachmann & Earles, 2000). Darker plastic mulches can be utilized as a form of weed control as well, in which the light needed for weeds to survive is diminished by the cover. 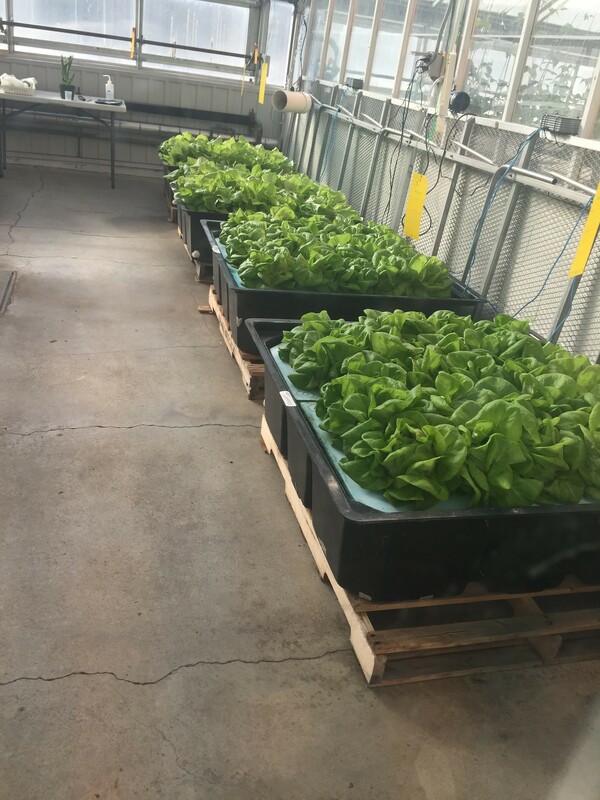 Overall, plasticulture is an innovative agricultural practice, especially for organic growers who must limit soil inputs while still protecting and encouraging crop development. Why then question its application? As mentioned by the CGSB (2015b), in organic production, non-biodegradable and semi-biodegradable mulches must be removed and never left to decompose. It sounds simple enough, yet, this is one of the main issues with plasticulture (Bachmann & Earles, 2000; Lamont, 1991). This is due to the fact that the plastic cover is subjected to wear and tear over the growing season, which will cause it to lose its integrity and breakdown. Thinner and more biodegradable the plastic, more time-consuming and challenging the removal will be as well (Steinmetz et al., 2016). Therefore, plastic residue is left in the soil – intentionally or unintentionally – and will persist and accumulate over the years of plastic application (Liu et al., 2014; Schirmel et al., 2018). In China, the high density of micro-plastics from mulch in the agricultural fields physically disrupted the agro-ecosystem and decreased crop yields (Liu et al., 2014). Chemical pollution of the soil has also been observed, as plastic is a synthetic material comprised of potentially noxious agents. For instance, common polyethylene plastic mulches contain phthalic acid esters (PAE), which hold compounds suspected to be cancer-causing and endocrine-disrupting (Steinmetz et al., 2016). PAE tend to also leach out of the plastic easily, making them available by the agro-ecosystem through atmospheric evaporation, groundwater or surface water runoff, and plant uptake (Steinmetz et al., 2016). Soil biodiversity, microbial activity and, ultimately, crop quality are at risk in these systems (Schirmel et al., 2018; Steinmetz et al., 2016). As consumers, we may be increasing our exposure to unwanted compounds (Steinmetz et al., 2016), even when buying organic produce. Furthermore, there are challenges with proper disposal of the plastic mulch once recovered. Recycling is not typically possible when fragments of soil and organic agro-chemicals are found on the plastic (Steinmetz et al., 2016). These mulches thus often get redirected to landfills or will be incinerated in large quantities, which each cause significant pollution (Steinmetz et al., 2016). Until further research is conducted on the long-term effects of plasticulture on soil quality and biodiversity, I wonder if this practice should be permitted in organic production. Plastic mulch can seem like a saving-grace for organic farmers, given the many short-term benefits. However, what if this “sustainable” practice is not sustainable at all, and that the crops may in fact be harmful? Perhaps, for the time being, the CGSB should strictly accept the other non-plastic mulches for field application. Bachmann, J., and R. Earles. 2000. Season Extension Techniques for Market Gardeners. Horticulture Technical Notes. Fayetteville, Ark. : ATTRA. Canadian General Standards Board (CGSB). 2015a. Organic Production Systems: General Principles and Management Standards. No. CAN/CGSB-32.310-2015. National Standard of Canada, Gatineau, CA. Canadian General Standards Board (CGSB). 2015b. Organic Production Systems: Permitted Substances Lists. No. CAN/CGSB-32.311-2015. National Standard of Canada, Gatineau, CA. CRAAQ. 2012. Bilan de la recherche en agriculture biologique au Québec. Available at https://www.agrireseau.net/references/9/References/BILAN_RECHERCHE_BIO_2012.pdf (accessed 8 Feb. 2019). Davidson, K. 2017. Plasticulture: a light at end of the tunnel. The Grower. Volume 67 Number 09 P.M.40012319. Liu, E. K., He, W. Q., and C. R. Yan. 2014. ‘White Revolution’ to ‘White Pollution’—Agricultural Plastic Film Mulch in China. Environmental Research Letters 9 (9): 091001–. doi:10.1088/1748-9326/9/9/091001. Schirmel, J., Julius A., Markus P. K., and K. Muñoz. 2018. Plasticulture Changes Soil Invertebrate Assemblages of Strawberry Fields and Decreases Diversity and Soil Microbial Activity. Applied Soil Ecology 124: 379–93. doi:10.1016/j.apsoil.2017.11.025. Steinmetz Z, Wollmann C, Schaefer M, Buchmann C, David J, Tröger J, Muñoz K, Frör O, and Schaumann GE. 2016. Plastic Mulching in Agriculture. Trading Short-Term Agronomic Benefits for Long-Term Soil Degradation?. The Science of the Total Environment 550: 690–705. Published by melissazbacnikdantonio on February 12, 2019 at 2:19 am under Uncategorized. 2 comments. La castration à froid des porcelets mâles dans leur première semaine de vie est une pratique courante dans la production porcine québécoise. Considérant les exigences grandissantes des consommateurs en termes de bien-être animal, des alternatives doivent être étudiées. L’immunocastration, approuvé au Canada depuis 2011 (Code de pratique, 2014), est l’une de ces alternatives. Premièrement, précisons que le but de castrer les porcelets est d’éviter l’odeur et le goût désagréable dans la viande dus à des substances chimiques, soit l’androstérone et le scatol, s’accumulant dans la graisse des mâles qui atteignent la maturité sexuelle (Collin et Martin, 2010). Lors de la puberté, l’hypothalamus sécrète des quantités importantes d’une hormone nommée gonadolibérine, ou GnRH (Gonadotropin releasing hormone). Cette dernière est à la base d’une réaction en chaîne qui résultera par la sécrétion d’androstérone et de testostérone dans le sang. Le scatol, lui, est produit par les bactéries du gros intestin chez tous les porcs, mais la testostérone réduit la capacité du foie à le métaboliser et l’éliminer, causant une plus grande accumulation de ce dernier chez les mâles non-castrés (Collin et Martin, 2010). L’immunocastration bloque temporairement le développement du système reproducteur masculin, mais n’implique aucune injection d’hormone, contrairement à ce que l’on pourrait croire. En fait, ce système agit plutôt comme un vaccin; on injecte au porc en croissance une dose d’antigène présentant un analogue inactif de GnRH, ce qui induit une réponse immunitaire. L’animal développera naturellement des anticorps qui viendront neutraliser le GnRH au fur et à mesure qu’il sera produit, l’empêchant donc de débuter la réaction en chaîne causant la maturité sexuelle (Collin et Martin, 2010). Deux injections doivent être effectuées, la première à partir de huit semaines d’âge et la seconde quatre à six semaines avant l’abatage. Plusieurs études montrent que cette méthode est efficace pour produire des animaux tout aussi performants en termes de conversions alimentaires et de qualité de viande, avec de faibles taux d’androstérone et de scatol, qu’en utilisant la méthode conventionnelle de castration (Skrlep et al, 2010 ; Tursktra et al, 2002). De plus, l’immunocastration élimine certains risques pour la santé causés par la castration conventionnelle, tel que le risque d’infection ou d’hernie scrotale, menant parfois à des morts pré-sevrage. Qu’attendons-nous alors pour changer nos méthodes? Évidement, rien n’est parfait. Parmi les désavantages de ce système, il y a un risque pour l’administrateur des vaccins, car les humains produisent du GnRH de façon similaire aux porcs. De plus, l’élevage de mâles non-castrés peut augmenter l’incidence de comportements agressifs jusqu’à l’administration du vaccin. Finalement, des erreurs peuvent se produire, par exemple, il n’est pas impossible d’oublier de vacciner un animal dans le troupeau. Des méthodes d’identification de viandes malodorantes doivent donc être misent en place dans les abattoirs, lesquels ne coopèrent pas toujours en ce sens (NFAAC). Bien que la castration conventionnelle reste de loin la méthode la plus utilisée au Québec, certaines compagnies s’intéressent à l’immunocastration, même s’il est très difficile de trouver des informations tel que le nombre de porcs aillant reçu ces vaccins, par exemple. Rien que pour le plaisir de se comparer, il est intéressant de constater qu’en Europe, au moins le tier des porcelets ne sont pas castrés. La Belgique et l’Espagne sont également des précurseurs dans l’utilisation de l’immunocastration (Chevillon, 2017). De plus, les porcelets castrés chirurgicalement sont en grande majorité sous anesthésie locale, alors qu’au Canada des analgésiques sont obligatoires mais ne servent qu’à atténuer la douleur postopératoire, ils n’ont donc pas d’impact sur la douleur lors de l’opération (Code de pratique, 2014). Bref, si l’on souhaite satisfaire les exigences des consommateurs au niveau du bien-être animal, la castration à froid est l’une des premières pratiques à éliminer dans l’industrie porcine. En attendant que des méthodes permanentes comme le sexage du sperme ou la sélection génétique deviennent viables, l’immunocastration offre une solution qu’il serait temps d’exploiter davantage. Published by andreannelasalle on February 12, 2019 at 12:47 am under Uncategorized. 2 comments. “The agrologist must promote measures of education and information in the field in which he practises. He must also do all things necessary to ensure such education and information.” (Government of Quebec, 2019). This is Section 7 of the Code of ethics of agrologists, within Division 2 – “Duties towards the public”. As any aspiring agrologist is taught early-on in his/her training, the primary mandate of the profession is ultimately the protection of the general public. What happens, however, when such ethical ideals aren’t supported, nor protected, at the highest level of public service? This is a frightening question that must be considered when reflecting on the recent firing of the Ministre de l’Agriculture, des Pêcheries et de l’Alimentation du Québec’s (MAPAQ) esteemed agrologist Louis Robert in January of 2019 (Pineda, 2019). Mr. Robert, an agrologist who had invested 32 years as an employee of the MAPAQ, was fired for providing evidence of industry interference in scientific findings made at the Centre de recherche sur les grains (CÉROM) to local news media sources, Le Devoir and Radio-Canada (Gerbet, 2018; Pineda, 2019). The decision to turn to the media came only after the fruitless attempts of sounding the alarm internally (Pineda, 2019). With every scientific inquiry, naturally comes an interested group. This is the driving force that not only catalyzes the initial questions and hypotheses behind our scientific inquiries, but is also the economic force that funds these ideas into fruition. Interest in any scientific exploration, from all levels of its practical application, is essential. It is thus natural that representatives of the Producteurs de grains du Québec would be a part of CÉROM’s administrative council, given its research is on grain crops. This group clearly has a vested interest in studying the many facets of these crops, which could aid in further evolving the efficiency and safety of their production. Clearly, many stakeholders can gain from such a marriage, including the general public. The issue at hand, however, is when such a group intervenes and disrupts the objectivity that scientific research requires. Furthermore, when externalities can result from these actions and public safety and education are sacrificed, a line has been crossed. Is it then not only morally right, but also Mr. Robert’s legal duty to “…do all things necessary…” in order to ensure the public, whom he is mandated to protect in the scope of the agricultural domain, is informed of such a clear breach of ethics from a publicly funded organization? More importantly, however, where are the safety nets that we as a society require in order to protect the brave few who risk everything – their careers, livelihood, reputation – to expose social and criminal injustices? In fact, Bill 87, tabled by the Quebec government in 2015, set-out to do just that. 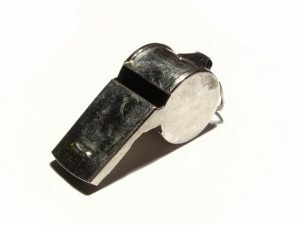 This piece of legislation, which came into force in May 2017 (ANQ, 2019), was designed to facilitate whistleblowing in Quebec’s public sector (CBC, 2015). As we can see in the case of Mr. Robert, this law is clearly ineffective. Regardless of the channels chosen by Mr. Robert to disseminate this information, the spirit of this very law was enacted to protect these true civil servants from losing their jobs. The Edward Snowden’s, Jeffrey Wigand’s, Bradley Manning’s, and now Louis Robert’s of our world need not only be protected, but encouraged to step forward and openly denounce those who have chosen to set their own ethical standards. Far more stringent legislation needs to be put in place in order to ensure that we as a society are aware and informed of such practices; especially when it is being funded from our very pockets. As we can see, now in 2019, we are still nowhere near where we need to be as a society in protecting those who would sacrifice everything for the greater good of their community. Assemblée Nationale du Québec (ANQ). 2019. Bill no87: An act to facilitate the disclosure of wrongdoings relating to public bodies (modified title). Assemblée nationale du Québec. Accessible at: http://www.assnat.qc.ca/en/travaux-parlementaires/projets-loi/projet-loi-87-41-1.html?appelant=MC (last viewed February 10, 2019). Canadian Broadcasting Corporation (CBC). 2015. Whistleblower protection bill for public-sector workers tabled in Quebec. CBC/Radio-Canada. Accessible at: https://www.cbc.ca/news/canada/montreal/whistleblower-protection-bill-87-quebec-1.3347547 (last viewed, February 10, 2019). Gerbet, T. 2018. Radio-Canada. Pesticides: quand le privé administre la recherche publique québécoise. Société Radio-Canada. Accessible at: https://ici.radio-canada.ca/nouvelle/1086727/cerom-mapaq-agriculture-ministere-pesticides-grains-overbeek-recherche-prive-public (last viewed, February 10, 2019). Government of Quebec. 2019. Légis Québec: A-12, r.6 – Code of ethics of agrologists. Governement du Québec. Accessible at: http://legisquebec.gouv.qc.ca/fr/showdoc/cr/a-12,%20r.%206 (last viewed, February 10, 2019). Pineda, A. 2019. Le Devoir. Le renvoi d’un lanceur d’alerte soulève l’indignation. Le Devoir. Accessible at: https://www.ledevoir.com/politique/quebec/546687/le-ministre-de-l-agriculture-a-personnellement-autorise-le-congediement-d-un-lanceur-d-alerte (last viewed, February 10, 2019). Published by saschamacintoshhobson on February 12, 2019 at 12:37 am under Uncategorized. 2 comments. Récemment, l’industrie laitière n’a pas la cote dans les médias que ce soit au niveau des changements climatiques ou bien du nouveau guide alimentaire. Il semble que plusieurs enjeux attendent les producteurs laitiers. Un autre problème lié au secteur alimentaire est la pollution causée par l’emballage de produits avec des plastiques à usage unique. Ce plastique, recyclé à seulement 11% au Canada, se retrouve enfoui ou dans les océans pour être ensuite dégradé en micro-plastiques (Chung, 2018). Ces particules absorbent des contaminants qui peuvent alors être ingérés par des animaux marins (Galgani et al., 2011). Pourtant, les produits comme les légumes et le lait de consommation sont fréquemment emballés dans du plastique à usage unique et contribuent à cette pollution. Il existe cependant des solutions. Quelques alternatives font leur apparition au Québec afin que les consommateurs puissent réduire leur empreinte écologique et leur consommation de plastique. De ce fait, le mouvement zéro déchet est de plus en plus populaire : il s’agit d’utiliser ces propres contenants pour emballer les produits alimentaires au lieu des emballages à usage unique (Association Québécoise Zéro Déchet, 2019). Même si le lait de consommation reste pour l’instant minime dans les épiceries zéro déchet, il est possible qu’il soit vendu en vrac. En fait, depuis peu au Québec, quelques épiceries offrent du lait en vrac à ces consommateurs. Ceux-ci peuvent venir avec leurs bouteilles et les remplir eux-mêmes au distributeur de lait. De cette façon le lait n’est pas emballé dans des sacs de plastiques (Radio-Canada, 2018; Venne, 2018). De plus, il semble que les épiceries soient en mesure d’offrir le lait au même prix ou même légèrement moins cher que celui offert en épicerie. Les consommateurs peuvent également acheter la quantité réelle dont ils ont besoin et éviter ainsi le gaspillage alimentaire. Vendre du lait en vrac ne vient pas sans défis. En effet, il faut l’équipement approprié pour conserver le lait de cette façon pendant quelques jours en plus de devoir posséder des permis pour la vente du lait selon un article de Radio-Canada (2018). 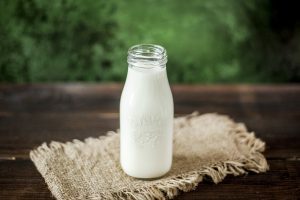 La salubrité doit être prioritaire pour éviter que des bactéries ne se développent dans le lait. De plus, les épiceries semblent pour l’instant faire affaire avec des laiteries locales pour s’assurer que le lait soit livré dans des réservoirs et non des contenants individuels (Venne, 2018). Ce modèle de vente se rapproche d’un existant depuis quelques années en France: les machines distributrices de lait cru. En fait, des producteurs acheminent des réservoirs de lait à ces machines et les consommateurs peuvent y aller pour remplir leur bouteille directement (Dupuis, 2018). Pour le moment, les produits laitiers sont bien souvent marginaux dans les épiceries zéro déchet. Certains producteurs et laiteries locales ont choisi de commercialiser et d’emballer eux-mêmes leur lait de consommation dans des bouteilles en verres au lieu du plastique et du carton (Guindon, 2019). Ces bouteilles ont plusieurs avantages. D’une part, elles n’altèrent pas le goût du lait comme cela semble être le cas avec les emballages habituels (Glass Packaging Institute, 2019; La Pinte, 2019). D’autre part, elles permettent de réduire la quantité de déchets liés à la consommation du lait et l’utilisation d’emballages polluants puisqu’elles peuvent être consignées et réutilisées à de maintes reprises. Un défi de cette méthode demeure pour l’instant le prix associé au lait vendu en bouteille. En effet, malgré la possibilité de remboursement avec la consigne des bouteilles, les prix restent plus élevés que le lait emballé de façon conventionnelle (Hallé, 2016). Cela pourrait inciter les consommateurs qui ne sont pas capables de payer plus cher à acheter le lait dans les emballages habituels. En somme, dans un monde changeant où les producteurs laitiers doivent s’adapter à la demande des consommateurs qui veulent acheter leurs produits de manière responsable, il semble que vendre le lait embouteillé dans du verre ou en vrac soient des opportunités à ne pas manquer. Association Québécoise Zéro Déchet. 2019. Le zéro déchet, c’est quoi? https://mycourses2.mcgill.ca/d2l/le/content/372579/viewContent/4150587/View (accédé le 10 février 2019). Association Québécoise Zéro Déchet. Montréal, QC. Chung, E. 2018. Industry wants zero plastic packaging in Canada’s landfills by 2040. CBC News. Ottawa, ON. Dupuis, L. 2018. Des distributeurs automatiques de fruits et légumes fleurissent devant les fermes. RTBF. Bruxelles, Belgique. Galgani, F., G. Gerdts et G. Hanke. 2011. Microplastics in oceans. Marine Pollution Bulletin. 62: 1589-1591. Glass Packaging Institute. 2019. Benefits of glass packaging. http://www.gpi.org/learn-about-glass/benefits-glass-packaging (accédé le 10 février 2019). Glass Packaging Institute. Arlington, VA.
Guindon, M. 2019. Lait, yogourts et fromage produits à St-Félix. Le citoyen Val-d’Or Amos. Val-d’Or, QC. Hallé, S. 2016. Retour du lait dans les bouteilles en verre. TVA Nouvelles. Estrie, QC. La Pinte. 2019. Pourquoi une bouteille en verre? http://lapinte.ca/a-propos/ (accédé le 10 février 2019). La Pinte. Ayer’s Cliff, QC. Radio-Canada. 2018. Du lait, du poisson et du fromage en vrac : des commerces en font plus pour réduire les déchets. Radio-Canada. Estrie, QC. Venne, J.-F. 2018. Objectif zéro déchet. Le Devoir. Montréal, QC. Published by sandrinestpierrelepage on February 11, 2019 at 11:49 pm under Uncategorized. 2 comments. Ce n’est pas une oeuvre de charité, c’est une carrière. Les entrepreneurs agricoles ne travaillent pas pour le bien de la communauté, ils le font pour atteindre des objectifs personnels et commerciaux. On veut préserver les infrastructures régionales ? Il faudrait peut-être garantir des revenus pour les futurs producteurs… pas juste des « mercis ». Un bon coup du ministre de l’Agriculture, André Lamontagne, c’était le nouveau levier financier pour la relève. Plus besoin d’avoir déjà des actifs à hypothéquer si on veut un prêt de 100 000$ (Desjardins, 2019). Mais avec des terres pouvant aller à 27 000 $/ha et des quotas de productions aussi élevés, est-ce qu’on encourage vraiment les jeunes producteurs ? 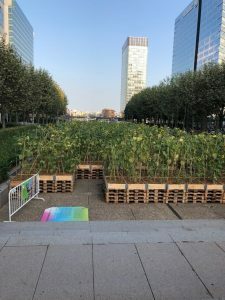 Ce n’est pas les millionnaires et les agriculteurs à temps partiel qu’on va attirer (Lemieux, 2019)? La MRC de l’Érable a un beau projet pour combattre l’exode rural. On va permettre aux familles de construire une maison en l’échange d’une exploitation agricole à temps partiel (Tremblay, 2019). Pour ceux qui se le demandent, la différence entre une exploitation temps plein et temps partiels, c’est 25 000 $ de revenus par année versus 50 000 $. Bon, la question à savoir si on préserve mieux les infrastructures avec des producteurs temps partiels ou temps plein en est une bonne. Mais comment on fait pour aider ceux qui veulent faire ça temps plein ? Ceux qui voudrait peut-être plus que 25 000 $ par années ? Le marché pour les légumes ne serait pas encore saturé, mais pour combien de temps encore ? et surtout, dans quelles régions (MAPAQ, 2008)? Qu’est-ce qu’on fait si quelqu’un veut se lancer dans des productions animales ? On lui dit de trouver des garanties à valeur égale de son quota ? Voir définition de « millionaire ». 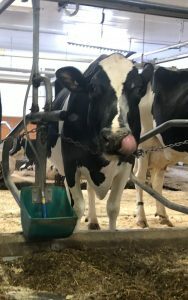 Pendant que les producteurs de lait de chèvre se font abandonner pour des compétiteurs internationaux et qu’on ouvre les frontières, petit à petit, aux produits américains… Est-ce qu’on devrait peut-être arrêter « d’encourager » l’agriculture locale et commencer plutôt à investir en elle ? Prenons la volaille, un des seuls produits animaux dont la consommation augmente sans cesse dans les dernières années (Brett, 2017). Les recettes enregistrées au Canada s’élèvent à 2,5 milliards $ pour environ 1.2 milliard kg. Pendant ce temps-là on importe près de 150 millions de kg de poulet par année , qui v augmenter d’au moins 1% par année pendant 10 ans, grâce au l’Accord de libre-échange nord-américain (ALÉNA) 2.0 (AAFC, 2017, 2018). Ah oui, ces producteurs la vont être compensés en passant… avec l’argent des contribuables. Pendant qu’on tape la tête aux entrepreneurs caprins, qu’on compense les agriculteurs pour l’ouverture des frontières et qu’on ne laisse pas beaucoup de jeu aux jeunes dans les productions sous quota, il y a une province au Canada qui a sorti des sentiers battus. Au Manitoba, les producteurs de volailles ne répondaient pas à la demande de produits de spécialités (Bio, local, kosher, halal, etc.). Une solution facile qui n’a pas vraiment fait d’écho ailleurs. Ils ont augmenté la production hors quota à 2000 poulets par années(Paige, 2016). Donc, imaginons un plan d’affaire d’un jeune producteur de proximité diversifié qui va bâtir sa clientèle. Ce n’est pas difficile d’imaginer qu’un projet de 2000 poulets de spécialité vaille plus que les 100 auxquels ils ont droit en ce moment. La proximité avec la clientèle, les « fermiers de famille », les productions spécialisées hors quota, c’est là dedans qu’on peut y voir des nouvelles entreprises durables. C’est beau les remerciements, mais il faudrait penser aussi aux investissements. AAFC. 2017. Canada’s chicken industry. Agric. Agri-Food Canada. http://www.agr.gc.ca/eng/industry-markets-and-trade/canadian-agri-food-sector-intelligence/poultry-and-eggs/poultry-and-egg-market-information/chicken/?id=1384971854392 (accessed 11 February 2019). AAFC. 2018. Annual Poultry Export/Import Report – Monthly Breakdown with Prior Year Comparison – Agricultural Industry Market Information System (AIMIS). – Agric. Agri-Food Canada. http://aimis-simia.agr.gc.ca/rp/index-eng.cfm?action=gR&r=188&signature=11FAA30295A4C2089A5518CAB39E345B&pdctc=&pTpl=1#wb-cont (accessed 11 February 2019). Brett, M. 2017. Chicken Continues to be Canada’s Favourite Meat. Chick. Farmers Canada. https://www.newswire.ca/news-releases/chicken-continues-to-be-canadas-favourite-meat-626499051.html (accessed 11 February 2019). Desjardins, J. 2019. Québec offre un nouveau levier financier pour la relève. La Terre Chez Nous. https://www.laterre.ca/actualites/politique/quebec-offre-un-nouveau-levier-financier-pour-la-releve (accessed 11 February 2019). Lemieux, S. 2019. Fermes cherchent acheteurs millionnaires. La Terre Chez Nous. https://www.laterre.ca/actualites/en-region/fermes-cherchent-acheteurs-millionnaires (accessed 11 February 2019). MAPAQ. 2008. Guide technico-économique de démarrage de l’entreprise maraîchère commericialisant selon la formule de l’agriculture soutenue par la communauté. Paige, J. 2016. Manitoba Chicken Producers changing guidelines for small-scale producers. Manitoba Co-operator. https://www.manitobacooperator.ca/livestock/small-scale-chicken-quota-changes-stir-controversy/ (accessed 11 February 2019). Tremblay, A. 2019. Combattre l’exode rural avec une agriculture à petite échelle. Radio-Canada. https://ici.radio-canada.ca/nouvelle/1151324/grande-seduction-mrc-erable-victoriaville-exode-rural-agriculture?fbclid=IwAR12VNPpPIG3J0zL5GRdfhvQlZ3WcL3dsRLquFZNi5d0DoRvXMWFZCPdcwQ (accessed 11 February 2019). Published by vincentdesaulniersbrousseau on February 11, 2019 at 11:45 pm under Uncategorized. 2 comments. Published by myriamouardani on February 11, 2019 at 11:35 pm under Uncategorized. 2 comments. Published by veroniquebeaudin on February 11, 2019 at 10:07 pm under Uncategorized. 2 comments. Could urban agriculture improve global food security? In the recent years, there has been an increased interest in urban agriculture. Several organizations are promoting it by doing workshops and other activities in order to provide hands on agricultural experience to people living in the city, far from farms. 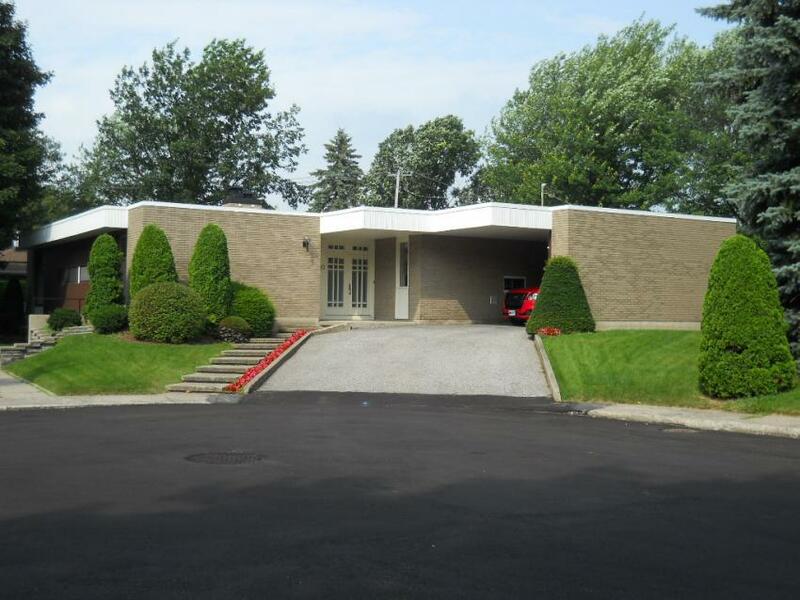 Santropol Roulant in Montréal, for example, promotes urban agriculture through volunteers working in the field or in the kitchen, where they prepare meals for elderly people using the vegetables and meat produced organically on farm. 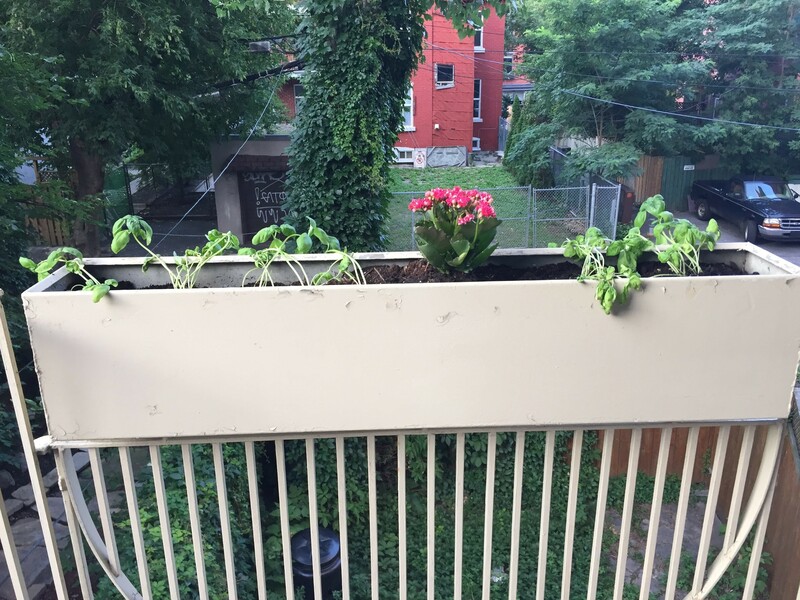 They also do workshops throughout the season on different aspects of urban agriculture from seeding indoors to canning the food produced (Santropol Roulant, 2018). Moreover, aside from promotion some are selling their urban grown products like the Lufa farms for example. They own 3 rooftop greenhouses in which they grow tomatoes, peppers, eggplants among other vegetables which they sell to more than 10,000 families, every week and all year round (Lufa farms, 2019). 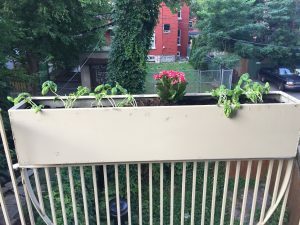 Finally, some organizations are doing research on urban agriculture such as the AU/LAB in Montréal which does research in collaboration with local universities (AU/LAB, 2018). well as in developed countries, who are trying to help in developing countries but should improve their food security as well. Indeed, in Canada, 12.5% of the population is food insecure with most of it being in the Northern Territories especially in Nunavut (Statistics Canada, 2013). Food security is met when food is accessible, and available to all and at all time and is safe and nutritious for consumption. The problem is that food production in cities is limited due to the lower space for food production. However, there are several solutions seen in cities nowadays. These include greenhouses on rooftops of industrial buildings like what the Lufa farms did in Montréal and Laval (Lufa farms, 2019). There is also the use of vertical production like Sky Greens in Singapore these systems allow for more food to be produced on less land (Sky Greens, 2014). And hydroponic systems which can also be used vertically. These systems allow for water and nutrient cycling. Greenology in Singapore works on the creation of such systems and Inno-3B in Québec does hydroponic vertical agriculture towers, they even have one in the sacristy of a church in Saint-Pacôme (Greenology, 2014; Gagnon, 2019). Even though producing locally could allow more food on the local markets and potentially reduce vegetable costs it might not actually decrease much the price since although there are lower transportation costs, the cost for heating the greenhouse over winter among other things could prevent the price from really going down. And the issue with food insecurity is mainly caused by the inability to buy food due to the cost. Thus in order for this urban production to actually help decrease food insecurity in cities, it would need to implement volunteer programs, especially for food insecure people who could come harvest, seed and do other jobs for a few hours per week. In exchange they would receive a basket of vegetables and do a cooking class on how to cook the vegetables they received. This program needs to be flexible so that even people working several jobs are able to volunteer. Thus, I believe that a volunteer program within local urban agriculture production would allow food security to be improved by increasing food availability to these insecure people and would also increase food safety since they are learning how to properly cook the vegetables decreasing the risks linked to food poisoning. AU/LAB. 2018. À propos d’AU/LAB. Available at http://www.au-lab.ca/a-propos-d-au-lab/#objectifs (last updated 2018; accessed February 3rd, 2019). AU/LAB, Canada, Québec, Montréal. 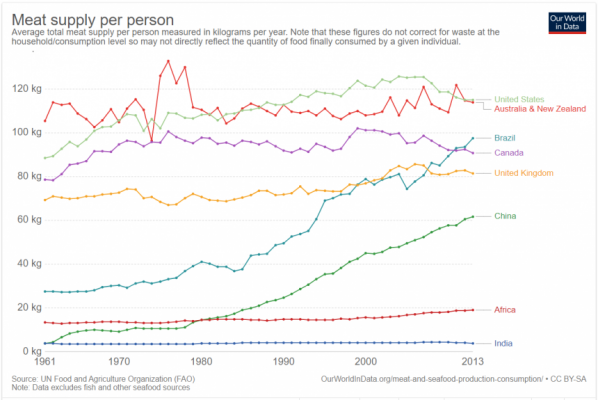 FAO, IFAD, UNICEF, WFP and WHO. 2018. The state of food insecurity and nutrition in the world 2018. Building climate resilience for food security and nutrition. Rome, FAO. Gagnon, M. 2019. Des légumes produits dans une église. La terre de chez nous. Canada, Québec. Greenology. 2019. Greenology Vertical Agriculture (GVA). Available at https://greenology.sg/products/vertical-agriculture/ (Last updated 2014; accessed February 10th, 2019). Greenology pte., Singapore. Lufa farms. 2019. About us. Available at https://montreal.lufa.com/about (Last updated 2019; accessed February 4th, 2019). Lufa farms, Canada, Québec, Montréal. Santropol Roulant. 2018. About us – Mission. Available at https://santropolroulant.org/en/mission-2/ (last updated 2018; accessed February 4th, 2019). Santropol Roulant, Canada, Québec, Montréal. Sky Greens. 2019. About Sky Greens. Available at https://www.skygreens.com/about-skygreens/ (last updated 2014; accessed February 10th, 2019). Sky Greens, Singapore. Statistics Canada. 2013. Canadian Community Health Survey. Household food insecurity, Canada 2013. Published by alexineehlinger on February 11, 2019 at 6:49 pm under Uncategorized. 2 comments. Published by sandrinedelattre on February 11, 2019 at 6:33 pm under Uncategorized. 2 comments. Plusieurs agronomes le disent : le lien avec les client.e.s est primordial dans ce métier. Un lien de confiance et une bonne relation avec les producteurs et productrices est nécessaire pour assurer un bon suivi. L’agriculture est aussi un choix de carrière qui peut s’avérer être un défi. En effet, la plupart des secteurs agricoles n’assurent pas un revenu stable, dépendent des conditions météorologiques, n’ont pas une grande marge de profits, etc. La plupart des fermes sont également situées en région, ce qui peut créer de l’isolement et un manque d’accès aux ressources et les fermes sont souvent des entreprises familiales qui peuvent mener à des tensions. 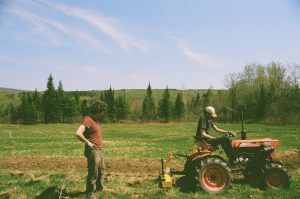 Selon l’association canadienne de sécurité agricole (Viens et Lebeau, 2011), la principale source de stress est la situation économique de la ferme. Selon une étude menée en 2006 (Lafleur et Allard), 51% des producteur.trice.s agricoles se trouvaient dans la catégorie de détresse psychologique élevée en comparaison à 20% de la population québécoise générale qui est à ce niveau. Les pensées suicidaires sont également plus élevées chez les producteur.trice.s (Lafleur et Allard, 2006). Cette situation est plus accrue chez les produteur.trice.s de porcs, notamment due à la perception du public quant à cette production (Lafleur et Allard, 2006). Tous ces facteurs réunis rendent le métier d’agriculteur et d’agricultrice ardu et risqué pour la santé mentale. Les agronomes, en tant qu’intervenant.e.s fréquent.e.s sur les fermes, ont certainement un rôle à jouer dans la sensibilisation et la détection de signes chez leurs client.e.s, surtout dans des contextes d’isolement. Depuis 2016, l’association québécoise de prévention du suicide (AQPS) en collaboration avec l’union des producteurs agricoles (UPA) offrent la formation sentinelle agricole qui vise à former des intervenant.e.s du milieu à détecter les signes de détresse psychologiques (AQPS, 2013). Certes, cette formation est utile pour les produteur.trice.s eux-même, mais elle est primordiale pour les agronomes puisque ceux-ci sont externes à la ferme et peuvent porter un regard objectif. Cette formation devrait être publicisée et fortement encouragée par l’ordre des agronomes dans le cadre de la formation continue obligatoire. Une autre ressource importante est l’organisme au cœur des familles agricoles (ACFA) qui œuvre pour la santé mentale en agriculture au Québec. Des travailleur.euse.s de rang sont notamment présent.e.s dans la région en support au producteur.trice.s. agricole sont disponibles. Il est important pour les agronomes d’être à jour et de connaître les ressources disponibles. Au cœur des familles agricoles a notamment une maison de répit (Photo) qui a été ouverte en 2003 permettant aux producteur.trice.s de prendre du recul par rapport à leur situation. Des intervenant.e.s sont présent.e.s sur place afin d’offir un support (ACFA, 2016). D’autres ressources par région sont également disponibles. Bien entendu, la sensibilisation à la santé mentale est primordiale pour toute la population. Une attention particulière devrait tout de même être mise sur le milieu agricole puisque plusieurs aspects liés à ce métier mettent les agriculteur.trice.s à risque. Les intervenant.e.s du milieu devraient être formé.e.s et sensibilisé.e.s afin d’être en mesure de faire de la prévention et d’être sensibles à leurs client.e.s. Published by florencevachonlaberge on February 11, 2019 at 6:20 pm under Uncategorized. 2 comments.